The Rhetoric and Writing concentration is ideal for students whose goal is to teach college composition as well as for students already teaching at the high school or middle school level who wish to enhance their knowledge of rhetoric and the methods of and theories behind teaching composition. The program combines literary study with coursework in rhetoric and composition. Rhetoric and Writing students benefit from working with published scholars, many of whom are established leaders in their fields of expertise. Students also benefit from attending lectures by visiting scholars who are speakers in the “Distinguished Speakers Series,” the “Ink and Electricity” series, or the “Lowbrow, Middlebrow, Highbrow” series. They have the opportunity to participate in workshops with creative writers from around the country who are invited to Monmouth’s campus as part of our Visiting Writers’ Series. More informal brown bag workshops on topics ranging from advanced graduate study, career development, mentoring, thesis preparation, proposal writing, and conference presentations, expand the extra-curricular offerings of the English Graduate Program. The Monmouth University Library binds, catalogs, digitizes and stores for future access all M.A. theses that have been successfully defended by their student authors. Graduates of the Program receive a bound copy of their thesis. Possession of a bachelor’s degree with a minimum 2.75 overall GPA, fifteen or more credits in literature or a related field is strongly recommended. An application essay of 1000 words describing your interest in this program, what you hope to accomplish in the M.A. program, and how you think the program will fit into your academic and career goals. 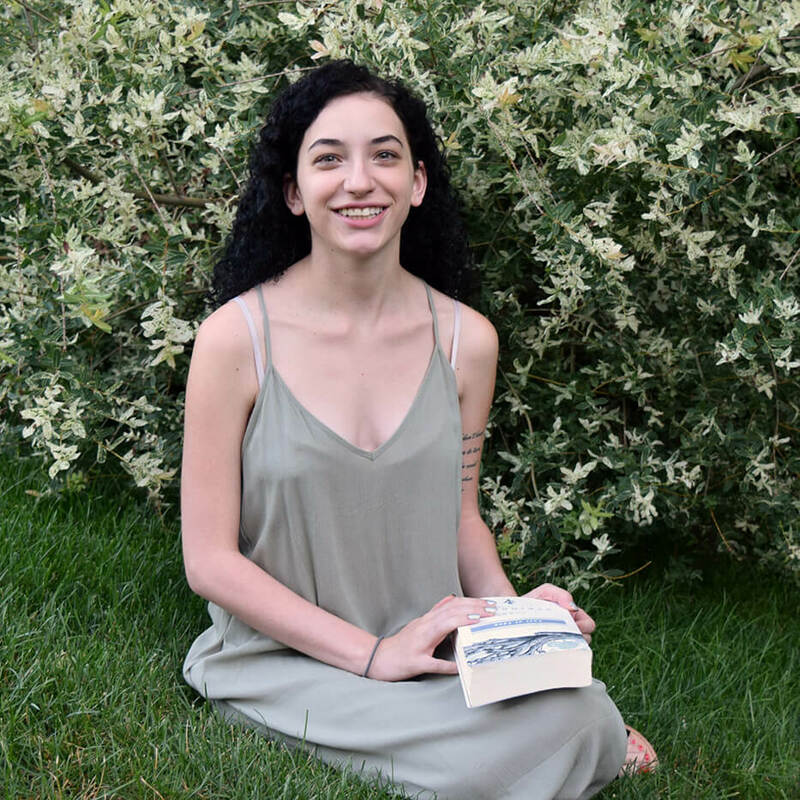 Christina Riso recently defended her rhetoric thesis which explores third wave feminist rhetorical strategies used by young women publishing perzines. She suggests that if you do not know what a perzine is, stop reading this and look it up. Now graduated, she will continue to learn about all things feminist.